Washington, DC— As first reported by Pittsburgh Post-Gazette reporter Sarah K Spencer, Duquesne women’s basketball coach Dan Burt has been suspended one postseason game by the Atlantic 10 Conference. 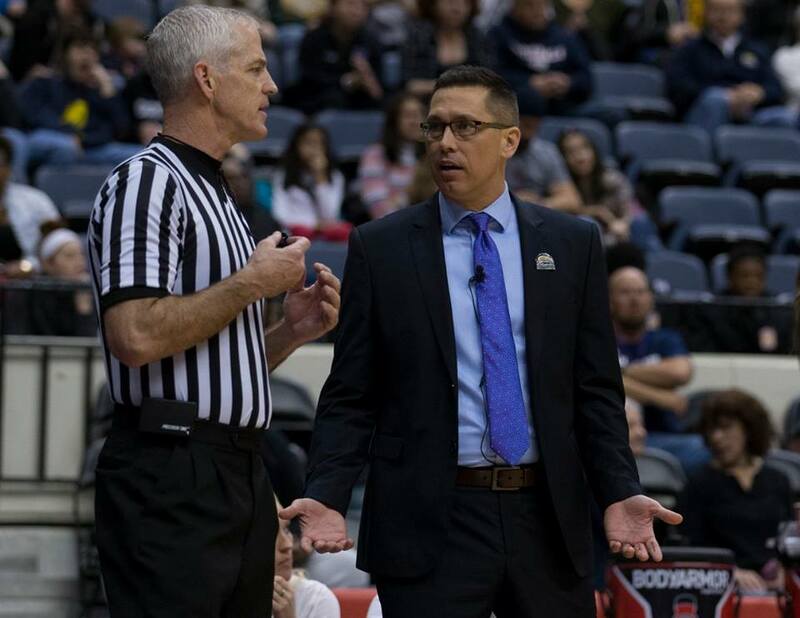 Burt’s suspension is stemmed from remarks he made following Duquesne’s 71-65 loss to Saint Louis concerning the way the game was officiated, specifically the 27-10 foul shot differential. “I am respecting the decision of the A10 Conference and will not have any further comment,” Burt told Spencer. Duquesne will have to wait until Mar. 12 to see if it makes the WNIT, which is something the team expects to have happen. Duquesne’s assistant coaches are Matt Schmidt, Rachel Wojdowski and Cherie Lea. This season, Duquesne is 23-7 overall and posted a 13-3 in Atlantic 10 which was good for the second seed in the conference tournament. At the time of this story, the Atlantic 10 did not offer a comment. Tune in live for postgame press conferences from both GoDuquesne and Billiken Athletics!